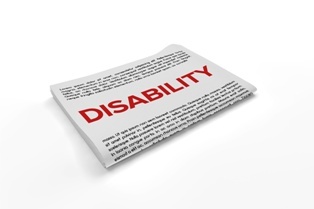 In order to receive long-term disability benefits, you must be disabled. This concept seems simple enough. You know what the word “disability” means. However, “disability” means different things in different long-term disability policies. Even among employer-sponsored policies that are governed by the Employee Retirement Income Security Act (ERISA), disability is defined in different ways. To get the benefits that you deserve, you need to know which definition applies to your policy and how to protect your right to receive benefits. Being incapable of performing at least one essential or material job function. Being unable to substantially perform the duties of your occupation. Being unable to perform the duties of any occupation for which you are qualified or may reasonably become qualified. Notice the significant difference between these disability definitions. In the first example, you will be considered disabled if there is one important part of your job that you cannot do because of your condition. In the second example, you will be considered disabled if you are unable to do your job at all. In the third example, you will be considered disabled if you can’t do what is required of you in any type of job that you are currently qualified to do or that you may reasonably become qualified to do. In some contracts, one of the first two definitions will apply when you first become disabled, and the definition of disability will change to the third definition after you have received disability benefits for 24 months. While disability may be defined in different ways, the definition of disability in your insurance contract will be specific—and it is important to know which definition applies to your claim. The language in your insurance policy may be confusing or difficult to interpret. Do not rely on the insurance company to do it for you. The insurance company’s goal is not to pay you the benefits that you’ve earned and that you qualify for due to your disability. Instead, it is the insurance company’s goal to pay you as little as possible in benefits so that it can maximize its profits. Accordingly, the insurance company may try to define disability in a way that furthers its goal instead of according to the definition in your insurance contract. An LTD ERISA lawyer won’t let that happen to you. Instead, our long-term disability insurance lawyer will review how disability is defined in your insurance contract and hold the insurance company accountable for paying your benefits according to that definition of disability. We will fight for your right to receive the disability benefits that you have worked for as part of your employment compensation package and we will hold the insurance company accountable if it tries to distort the legally binding contract definition to pay you less than you deserve. Misinterpreting how disability is defined in its own contract is just one of the ways in which the insurance company may try to limit or prevent your fair recovery of long-term disability benefits. Our experienced lawyers know all of the insurance company’s tricks and we know how to protect a claimant’s rights. To learn more about what we can do to make sure you get the long-term disability benefits that you deserve, please contact us by phone or through this website to schedule your free, no-obligation consultation with us today. Whether you are filing an initial claim or an appeal, we encourage you to reach out to us and to get the help that you need to get the disability benefits that you’ve earned.